Sutton Group Professional realty is pleased to welcome Mike Wu to their expanding team. Integrity, trustworthy, honesty, knowledge – Mike is committed to providing the highest level of service to both home sellers and buyers. Mike’s goal is to exceed his clients’ expectations and make every transaction as smooth, easy and stress-free as possible. Mike understands the industry, the community, and he listens carefully to the needs of his clients. Mike is fluent in both English & Mandarin and he is looking forward to serving his clients under the Sutton Banner. Perfect score for Tami James on her latest Client Satisfaction Survey. Here’s what they had to say about the service they received. “Tami is very knowledgeable about the entire buying/selling process and so very accessible at all times. She also truly enjoys her work with Sutton and her enthusiasm is infectious! In this transaction there were some interesting challenges she effectively navigated, and all parties were very happy in the end! I love my new home- I couldn’t be here without Tami- I so appreciate all her hard work”. Not surprised to receive testimonials like this for Tami. She goes above and beyond for her clients. Sutton Group Professional Realty is proud to welcome Yong Li to the growing team. One of Yong’s greatest passions is helping people market the sale of their home. Yong takes pride in adding value and delivering excellent customer service for his clients. 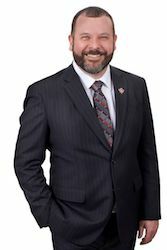 He provides personalized solutions to help clients navigate through the challenge of listing and selling homes and keeps them informed of every step. With intelligence and diligence, Yong works energetically to get the job done. Yong is committed to serving his clients with the highest ethical standards and integrity. Yong is also a multilingual agent knowing well both Canadian and Chinese cultures and is looking forward to serving his clients under the Sutton banner. Congratulations to Sutton’s Top 10 for deals written for the month of March. The Spring market is heating up and our agents are on fire! Congratulations to our very own Tamara Barker-Watson who scored high marks on her latest two Client Satisfaction Surveys. Here’s what her clients are saying about the service they receive from her. Awesome testimonials, Tamara! Keep up the great work!